The East of the River Career Exposure Camp (“the Camp”) is a summer career exploration program for rising 6th, 7th and 8th grade students. 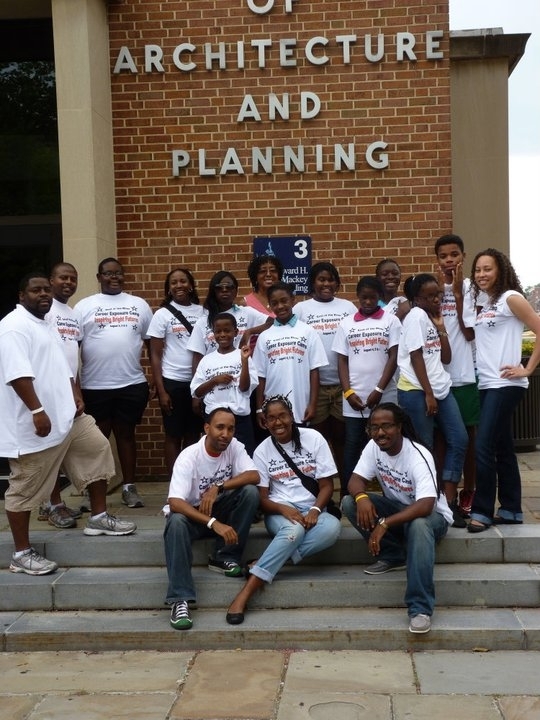 The Camp’s purpose is to expose Ward 7 and Ward 8* students to STEAM (science, technology, engineering, arts and math) careers with historically low minority participation. Students experience an interactive curriculum led by volunteer industry professionals. We also have field trips to reinforce their skills and knowledge. (4) to encourage youth to pursue an undergraduate and graduate school education. Camp activities include individual and group projects, and group presentations. Students will learn the value of the above mentioned goals as well as leadership, academic excellence, service and respect for themselves and others. We are looking for students who already have a strong interest in math and science. It is important that students are motivated and ready to learn. If you’re your child fits this description and you are interested in enrolling a student, please contact the Camp at eotrcareercamp@gmail.com.